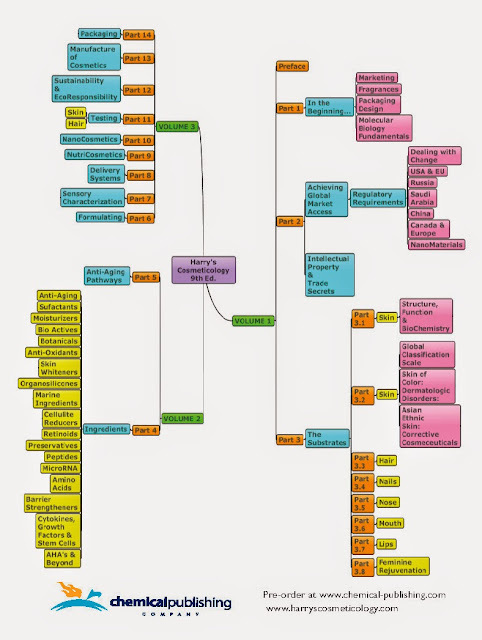 Mind Map which shows the layout for the 9th Edition, can be ordered here. 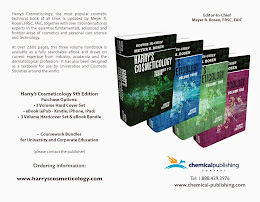 Harry's Cosmeticology has been set up as a "Trilogy" in 3 volumes which are related but can be used independently of each other. 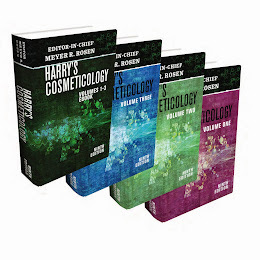 The Harry's Trilogy can be ordered as an entire set of 3 volumes or individually to suit the users needs. Individual chapters or groups of chapters can also be selected and ordered as a “Focus Book” made up of categories that have similar interests. We encourage our readers to send us requests of what they would like to see in a focus book.